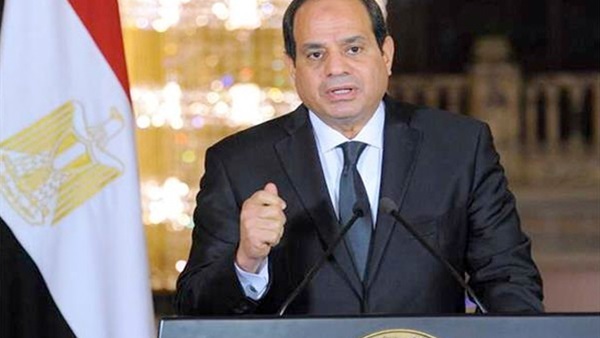 President Abdel Fattah El Sisi will on Sunday address the African Union summit on the priorities that Egypt plans to focus on during its 2019 chairmanship of the pan-African organization, Egyptian Ambassador to Ethiopia Osama Abdel Khaleq said. The Egyptian president will assume the chairmanship of the union at the 32nd African summit inaugural session, Abdel Khaleq told MENA Thursday. As per the AU protocol, the summit will start with a closed session for African leaders and heads of state during which the outgoing chairman of the union, in this case being the Rwandan president, hands over the chairmanship to the succeeding chairman from Egypt, he said. The outgoing chairman will brief the leaders on the achievements during his tenure in the institutional reform of the organization, while the chairman of the AU Commission will post them on the challenges facing the AU's administrative and financial reform, he said. Also, during the 90-minute closed session, the Niger president will present a report on progress made in the African Free Trade Agreement file, he added. After the closed session, the African leaders will gather for a photo opportunity and unveil a statue of late Ethiopian emperor Haile Selassie at the AU headquarters in recognition of his contribution to Africa’s liberation and unity leading up to the founding of the Organization of African Unity in 1963, he said. Then, President Sisi will address the summit's inaugural session in addition to AU outgoing chairman Paul Kagame, Palestinian President Mahmoud Abbas, UN Secretary General António Guterres, Arab League Secretary General Ahmed Abul Gheit and AU Commission Chairman Moussa Faki Mahamat, he said. Sisi's address will evolve around Egypt's vision towards the continent for the year 2019, he added. This year will mark Egypt's fourth assumption of the AU's year-long presidency, after 1964, 1989 and 1993, the ambassador said. Egypt plans to take lead of African joint action, focus on the priorities, defend the interests of the organization and promote the development and peace and security agendas, he said. And in February next year, at the closed session preceding the 64th African summit, Sisi will present an account on Egypt's achievements during its tenure, he added. President Sisi will hold several bilateral meetings on the fringe of the two-day summit, he said. Many bilateral meetings will be with the Ethiopian side, with Addis Ababa being a focal issue in Egypt's foreign policy, he added. Egypt's main priority during its AU chairmanship will be African economic integration and the enhancement of the continent's inter-trade activity and infrastructure, the ambassador said. How the French government dealt with the yellow vests?